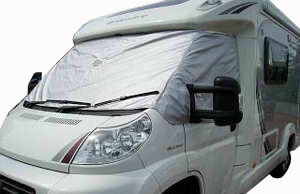 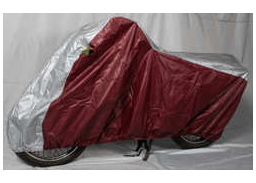 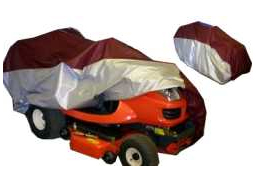 ï»¿ Motorhome Covers - Full or Roof-only Height and Windscreen Covers. 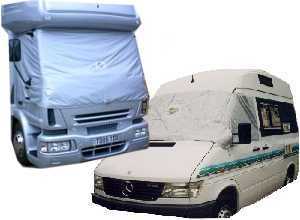 To fit any height, shape or length of motorhome; windscreen covers too, insulated & single layer. 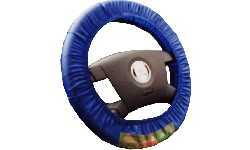 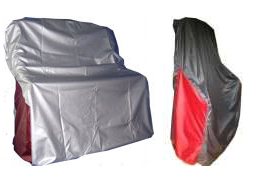 We manufacture our covers from our own patterns, or accurately from dimensional details which we acquire. 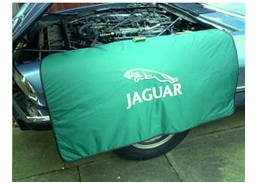 Thus we always achieve an excellent fit. 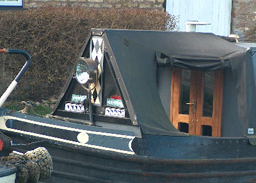 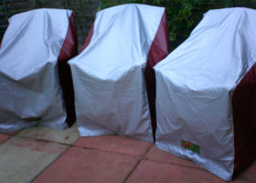 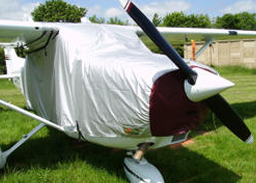 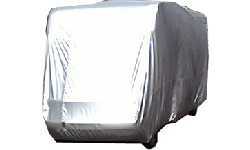 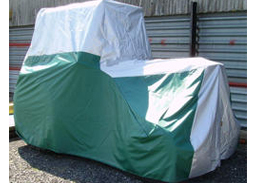 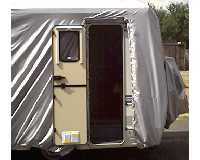 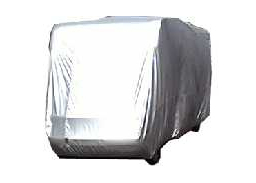 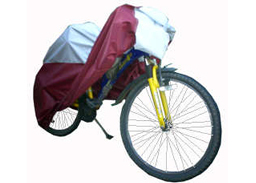 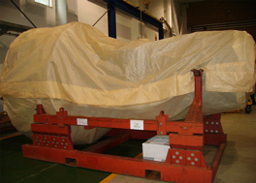 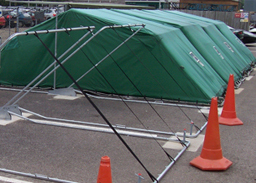 Sometimes also known as camper covers or motor caravan covers. 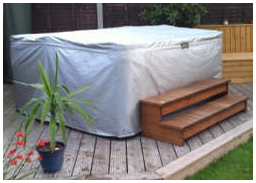 Outdoor covers tailor-made available as full height or roof only. 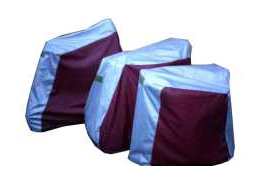 All our motorhome covers now include coloured corner pockets, as shown in these pictures. 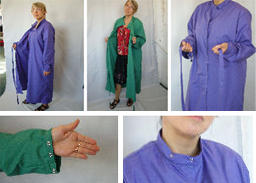 The pictures show you the green pockets (front) and red pockets (back) and how a lifting pole can be inserted. 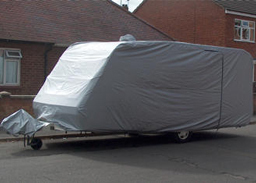 We also make a range of windscreen covers for van-based motorhomes and coachbuilts; also A-class, although you may have to visit us so we can take a pattern. 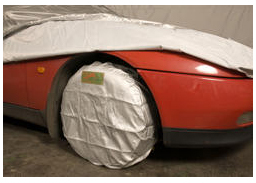 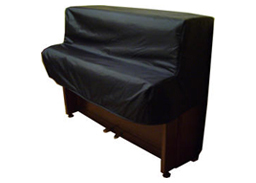 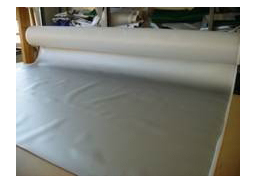 We make all screen covers either double layer with insulation between, or single layer. 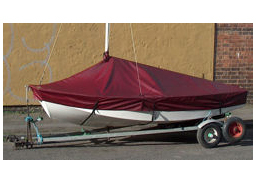 We think we might have missed a sale here !